The number of rides for our Thursday evening time trials continue once more to rise, following the slight summer holiday lull. Though the schools were still out, 78 riders took part for the last August event - 17 at 2 miles, 28 at 6 miles, & 33 at 10 miles. The top 5 at 2 miles: Max Davies, 6:21; Ethan Yates, 6:39; William Statham, 6:44; Ben Greenep, 6:50; & Pippa Darlington, 7:08. The top 5 at 6 miles: Isaac Weber, 15:08; Ben Pennance, 15:35; Graeme Cook, 16:52; Hannah Edwards, 16:58; & William Dykes, 17:01. And the top 5 at 10 miles: Ben Harrison, 21:45; Sam Monkhouse, 22:25; Adrian Dalgleish, 22:36; Andy Barlow, 23:21; & Ian Rutherford, 23:36. Fastest woman was Jenny Evans in 25:32. And a special mention for this season's only trike rider, Jim Lawley in 35:09. 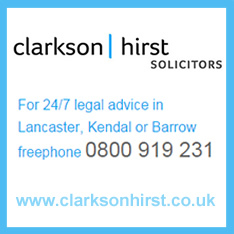 As ever, thanks to Clarkson Hirst Solicitors for their support for the series, & all those who helped out. The full results are below.